Every Tuesday, Wednesday and Thursday , players of all skill levels can play pinball for a place on Modern Pinball's Real-Time High Scoreboard and earn World Pinball Player Ranking points. No advance registration or sign up is required and players need only show up and notify a SUPERLeague Official to play. SUPERLeague is a competition in which the three highest-ranking players after finals will take 1st, 2nd and 3rd place. Entries can be played anytime on any Tuesday, Wednesday or Thursday with additional days available when arranged in advance and/or announced by a SUPERLeague Official. Players interested in playing two weeks of Super League on the same day should contact a SUPERLeague Official (day pass pricing applies). Each week, for 2 consecutive weeks, 5 games (the "Game Picks") will be made available for players to put up their best scores and be ranked with other players for a total of 10 games. Game Picks are typically announced several days in advance by one or more of the following: Modern Pinball website, in-store display, Official League Facebook Group or SUPERLeague Official. Players can play as few or as many of these games as desired. Practice is allowed before each game and more than one entry per day can be played (unlimited entries). The last score achieved for a game is the one that will count and not the top score. Players making repeated attempts must play all Game Picks or receive a zero for the unplayed games whether or not game scores exist from any previous entry. All Game Picks must be played the same day. IF available, during the 3rd week , players can re-do any ONE of the 2 weeks . Only one score per player will be ranked for each machine regardless of the number of games played and points will be awarded based on player rank according to the following point scale: Rank 1: 100pts; Rank 2: 90pts; Rank 3: 85pts; Rank 4: 84pts (and so on, decreasing one point with each rank decrease). Naturally, as rounds progress, ranking and point totals for players will change accordingly. The sum of the points earned for all games will make up the player's point total which at the end of qualifications will determine the standings going into the finals. Finals are typically held every 2 or 3 weeks on any day between Monday and Thursday and no entry are allowed on the day of Final. Finals will start at 7:45 PM (unless otherwise notified) and shall include only the SUPERLeague players that finished in the top 10% of the standings after all qualification entries have been entered ( a minimum of 8 players to a maximum of 36 at Superleague Official/s discretion ) . Players may view the qualification standings at Modern Pinball's website or ask a SUPERLeague Official. It is recommended that players near the 10% cutline close to the time of the finals be present the evening of the finals in the event they qualify for the finals to be played that night. Games available for finals will be based on format of finals ( sometimes ALL games will be available , other times ONLY games used in qualifications will be used ) . Note:To qualify in the Finals a player must play a full set ( 5 games in total no matter if split in 2 weeks : so anyone can do 3 games from week 1 and 2 from week 2 ) ( i.e. A player that entered only 4 scores will NOT be able to do Finals ) . Seeded double-elimination bracket with best of 3 on winners side and single game on losers side. Seeding will be determined by the SUPERLeague standings. The higher seed always has choice of game title or player order (i.e. who goes first) and a game ( or a set of games ) can only be picked once by the same player unless otherwise notified. Last player standing is the winner. Players eliminated in the same round will be ranked based on their qualifying position (i.e. players that qualify higher have the advantage). Single elimination seeded bracket , double elimination seeded bracket , 2 or 3 or 4 strikes Knockout where ONLY 1st round Matches will be based on seeding qualification ( 1 vs 24 , 2vs 23 etc ), or Knockout with 3 or 4 Players where last 2 will receive a strike . PAPA/Pinburgh Style Match Play 3(4) game Rounds, 4 player groups whenever possible as Best Score ( games will be split in different sets and higher seed on each group will have 1st choice of picking his/her set so this will eliminate the chance for anyone to pick their best machines ) where Qualifications standing will matter only for Round 1 , in Round 2 players will be re seeded based on their performance on Round 1 and so on for each following round. Also FINALS could be best of 3 single game match elimination or best of 3 on winner side and single game on loser bracket double elimination ( both those will be seeded bracket ) Game/Match no objective based(score based ) . Or could be a ladder format . Any of the formats allowed by IFPA ! During Finals also no wait for a machine , so a game available MUST be picked (same will be in the case of Sets of Games , only 1 set can be picked and no one else can pick that set ) . Matches can be mission-based (not best score) in which the winner is the one that starts any multiball mode in fewer balls than their opponent. If both players start multiball in the same number of balls (for example, both players started multiball on ball 2) then the player with the highest score at the end of that ball wins (i.e. score being the tiebreaker). Therefore, players should continue playing after starting multiball to have the best chance of winning the tiebreak/match. It is the players' responsibility to record all scores. In contrast to regular non-finals SUPERLeague play, players during finals are encouraged to play any and all extra balls awarded. Extra balls count as a continuation of the current ball (for example, playing an extra ball on ball 2 would be considered still playing ball 2) so this can help one achieve the objective in fewer balls (the goal of the match). You may ask how to play a game or how to reach an objective before or after playing your ball but not during. The penalty for receiving help during a match is a loss for that match. Practice is not allowed on any of the machines used for the finals after the start of finals. Practicing on a finals machine during finals will result in a match loss. A player that intentionally or unintentionally tilts someone elses ball will automatically lose their match. Slam tilting a game in progress will result in a loss for the match and a second slam tilt will result in disqualification from the finals (NOTE: A slam tilt can occur due to hitting the coin door or in some rare cases, rough-handling the machine). Bang backs and death saves are prohibited and can result in disqualification from the finals based on the SUPERLeague Officials' determination. In the case of a minor malfunction (e.g. broken light or switch, etc.) keep playing since the handicap will be present for everyone. If it's something that's a major hindrance to the objective then notify a SUPERLeague Official after your ball. If a machine resets, all players will repeat the game unless someone has already reached the objective. If a machine malfunctions and cannot be repaired in a reasonable amount of time then an alternate machine will be chosen. Playing someone elses ball (i.e. playing out of turn) will result in a loss for the match for the player who played out of turn. Cheating will not be tolerated and violators will be eliminated from the finals. SUPERLeague Official(s) shall make all rulings and final decisions. Modern Pinball general admission rates apply. 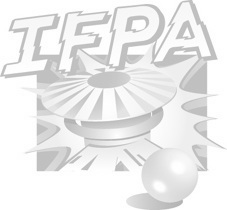 All players will receive IFPA World Pinball Player Ranking (WPPR) points relative to their performance provided that at least 10% of the SUPERLeague players for the month participated in that month's finals. Modern Pinball cannot guarantee the distribution of WPPR points and no refunds will be offered for any fee(s) if WPPR points are not awarded since player turnout for the finals is beyond the control of Modern Pinball NYC. Rules that are not specifically addressed herein shall be governed by the IFPA with final determination being made by the SUPERLeague Official(s). Modern Pinball reserves the right to update these rules from time to time and SUPERLeague Official(s) shall notify players of any rule updates that the SUPERLeague Officials(s) deem significant. Players are encouraged to check the rules periodically for updates. Modern Pinball staff and SUPERLeague Officials may participate in SUPERLeague and any ruling involving a SUPERLeague Official shall be made by a different SUPERLeague Official.